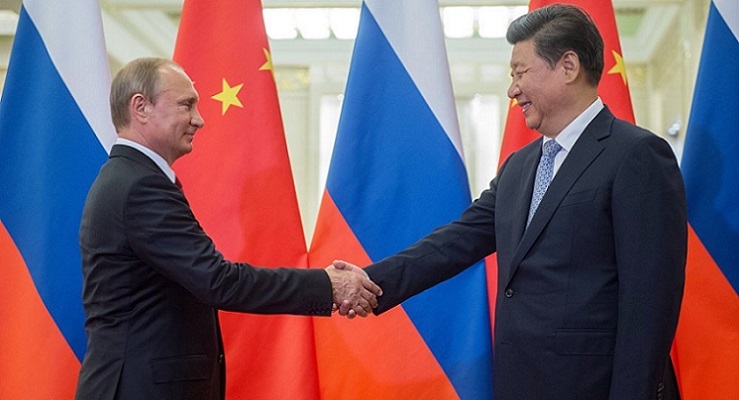 At a recent meeting of the Australian Institute for International Affairs (AIIA) a prominent Australian analyst and commentator suggested that Russia and China were “not natural allies”. There was therefore a risk, he suggested, of geopolitical instability in the Eurasian region. This analysis is flawed on a number of levels. The first flaw is a fundamental misunderstanding of the nature of the relationship between nation states. That relationship was the best encapsulated in the maxim expanded by the 19th century British statesman Lord Palmerston. Nations, you said, had neither friends nor enemies, only interests. This maxim has enabled nations throughout the centuries to form relationships with other nations with whom, prima facie, they have no necessary commonality of purpose. At the negative end of the spectrum this is manifest for example in the support of the United States for a wide range of despotic regimes. Nominally, such relationships should be anathema to the given state, considering the huge gap between the professed values of one state and the actual practices of the other state with whom the relationship is developed. Clearly, the concept of “natural allies” has no utility. The relationship is entered into on pragmatic grounds is serving particular geopolitical needs, such as access to or control of vital resources, meeting some perceived strategic goal, or acting to thwart the geopolitical objectives of a strategic rival. The actions of the United States in a wide sphere of activities over many years in relation to Russia and China are best understood in this light. The second area in which the “natural allies” analysis is flawed is that it ignores the extent to which geopolitical conditions may change. In the aforementioned meeting of the AIIA the speaker used the example of the Sino-Soviet conflict over the Ussuri River boundary between the two nations. That conflict occurred in 1969 and involved military clashes resulting in a modest number of combat deaths. Claimed fatalities vary from a total of about 130 to a maximum of 800. 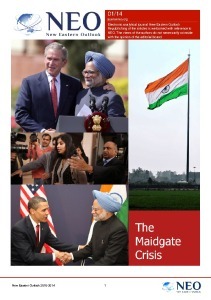 The important points about that clash however, are (a) both nations were very different entities then from what they are today; and (b) it was resolved by lengthy negotiation, with a final agreement being signed in October 2004. What has given enormous impetus to the developing relationship between Russia and China is that they share a number of common security and geopolitical interests. Again that has a number of bases and has manifested itself in a variety of formats. The first and perhaps major common interest arises from the manifest hostility of the United States toward both nations. This hostility is shown in its simplest form by the establishment of US military bases on or close to the borders of both countries. The overwhelming majority of US bases are clearly intended to form an encirclement. There can be no benign interpretation of this action. They are not necessary for the defence of the continental United States, and there is no rational or objective basis for arguing that they are necessary for the defence of those countries that host the bases. Even when bases have not been established, as in Ukraine, the US staged one of its many regime change operations to install a puppet regime that is hostile to Russia. Ukraine’s repeated breaches of the Minsk accords are rarely mentioned let alone criticized by the western media and the political leadership. The US continues to arm Ukraine with offensive weapons, all the more alarming in the light of recent legislation passed by the Ukrainian parliament that signals an attention to wage war against the Russian speaking Eastern regions of Ukraine and forcibly take Crimea. Crimea itself is an excellent illustration of western hypocrisy. Crimea’s historical role as part of Russia (until 1954) and the overwhelming wish of the Crimean people to be reunited with Russia as demonstrated in the referendum result is completely ignored by the western media. China is subject to the same unrelenting hostility. US warships have continuously staged provocative so called freedom of navigation exercises in waters that are essential to China’s security. The US purports to exercise a right that has in fact never been impeded by China. It is also a right enshrined in the United Nations Convention on the Law of the Sea, which China has ratified, and the US has not. The fact that Taiwan makes identical claims to the People’s Republic of China in respect of the South China Sea is never referred to in the western media. Similarly, the construction of fortified artificial islands in the South China Sea by for example, Taiwan and Vietnam is similarly never mentioned in the western media. More than 70 years after the end of World War II the United States still maintains more than 50 military bases on the island of Okinawa alone, none of which are necessary for Japan’s defence. Those bases are part of a network of more than 400 US bases that form part of the US “containment” of China policy. That any nation could presume to “contain” another nation in the absence of a state of war speaks volumes about the hubris of US foreign policy. The policy goes beyond one of containment however, as demonstrated by the invasion of Afghanistan, the support for separatist and terrorist elements in countries on China’s borders as well as within Chinese territory, including terrorist activities in Xinjiang, Tibet and elsewhere. The third reason why “not natural allies” is a less than useful analytical tool is found in what Russia and China have been doing together, and particularly in the 21st century. Ironically, one of the major driving forces of the increasing level of co-operation in a wide range of spheres has been as a reaction to US foreign policy. Both countries are foundation members of BRICS (founded in 2006), the Shanghai Cooperation Organisation (SCO) founded in 2001, and are developing a range of financial, security and economic links as part of the huge Chinese project currently known is the Belt and Road Initiative (BRI). Another key organisation in this context is the Eurasian Economic Union (EAEU) of which Russia is the major member. A number of agreements have been made between the EAEU and the SCO, covering trade, currency and security issues. All members of the EAEU and the SCO are participating in the BRI. Russian territory provides one of the key transport routes from China to western Europe as part of the BRI. 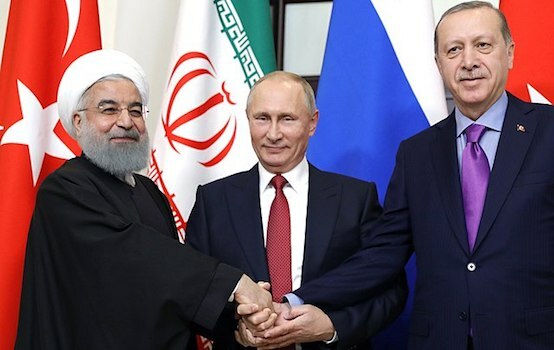 The two nations are also cooperating in providing assistance to Iran (another object of US hostility), which is helping Iran’s key role in the BRI, the SCO (of which it is an associate member), and the north south transportation corridor, which runs from India to Russia via Iran and Azerbaijan. Russia is a key supplier of natural gas to China, which apart from its energy implications, is also important for environmental reasons. Russia has also recently signed an agreement to provide China with its S400 anti missile system, one that has significantly superior to any Western version. A further sign of the increasing level of cooperation is the role that both countries are playing in reducing the importance of the US dollar as the principal medium of international trade. It is the dollar’s role that has enabled the US to defy economic logic by running huge internal and external fiscal deficits. It has also allowed the US to bully weaker nations through a variety of financial instruments such as the World Bank, the IMF, and the SWIFT System of international bank settlements. China has recently opened up the Shanghai and Shenzhen stock exchanges to allow domestic and international companies to issue bonds that will be used in turn to finance BRI projects. The Asian Infrastructure Investment Bank, the Silk Road Fund, the China Development Bank and the Export-Import Bank of China had hitherto largely financed these projects. One of the seven foreign companies granted approval by the China Securities Regulatory Commission to issue bonds is the Russian aluminum producer UC Rusal which was the first company granted approval, in the value of 1 billion Yuan. The Chinese and Russian led charge to an alternative Yuan, Ruble and gold-based system will quite probably prove to be the single most important geopolitical development of 2018. It does not matter therefore whether or not Russia and China are “natural allies.” It is sufficient that they have a mutual interest in addressing and ultimately replacing the US dominated system there has been the feature of the post-World War II era, and been the cause of so much misery and destruction. In this writer’s view such a development is wholly welcome.